Mother's Day. 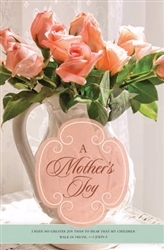 Features "A Mother's Joy" with verse from 3 John 4. Bulletins measure 8.5" x 11" and come in packages of 100.